What is a Custom Format IGC? This custom format reads IGC data, a common format used to store GPS tracking data. IGC stands for "International Gliding Commission" and is an ascii text format. It is primarily used to archive flight data but several vendors also use it for export of data from GPS tracking devices (Garmin,...). The custom format reads "*.igc" files and evaluates the header records "H..." and the waypoint records "B...". It extracts waypoints both for GPS and barometric height, holding the header information as attributes. A path for GPS and barometric data is extracted as a line feature connecting all the waypoints. 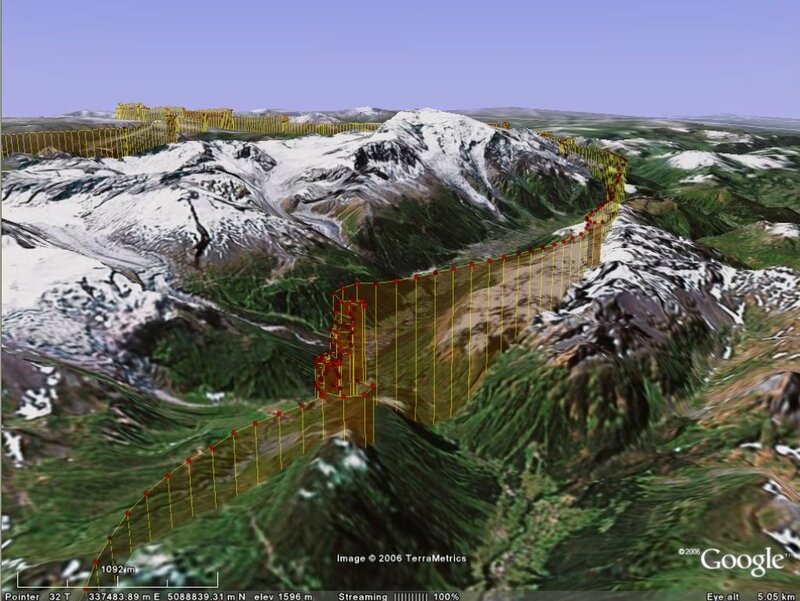 The mapping file styles the data for GoogleEarth and adds a "wall" feature for each track which displays the "wall" i.e. the connection from the track to the ground. This enables a better 3D impression of the flight track. In addition the time of each waypoint is displayed as a label. 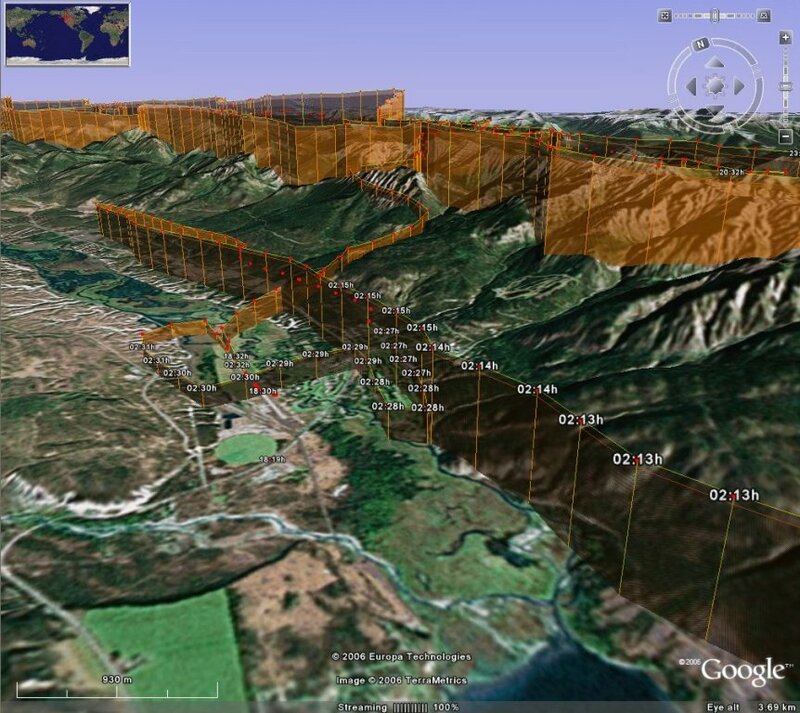 The GoogleEarth KMZ files of the demo data for Canada, Switzerland are attached. The following screenshots were taken from GoogleEarth. Why Does FME Automatically Insert a GeometryFilter into My New Workspace?